Project supporting SME partner FEAL Ltd.
Project SME partner Končar - Power Transformers Ltd.
Project SME partner Service Center Trogir Ltd.
Project SME partner Dalstroj Plc. Continual improvement of production and service processes consists of small incremental and breakthrough improvement steps that require large investments. Lean management concept is understood as the realization of Lean principles through the efficient application of methods and tools in order to detect and eliminate waste in production and service processes. Although switching to Lean management does not require significant investments, the negligible number of Croatian companies implemented it. Previous studies indicate a need for further research to assist Croatian companies in Lean management implementation toward finding their way of improvement for efficient production or service systems. The research proposed in this project will focus on cooperation with partners from industry in order to define and apply procedure for management of production and service improvement process. The developed integrative procedure for management of the continual improvement process will have four main procedure steps. The first step will be gathering the process data for mapping purposes. For this project purposes, a data gathering system for laboratory environment which partially enables Industry 4.0 concept will be developed and tested. 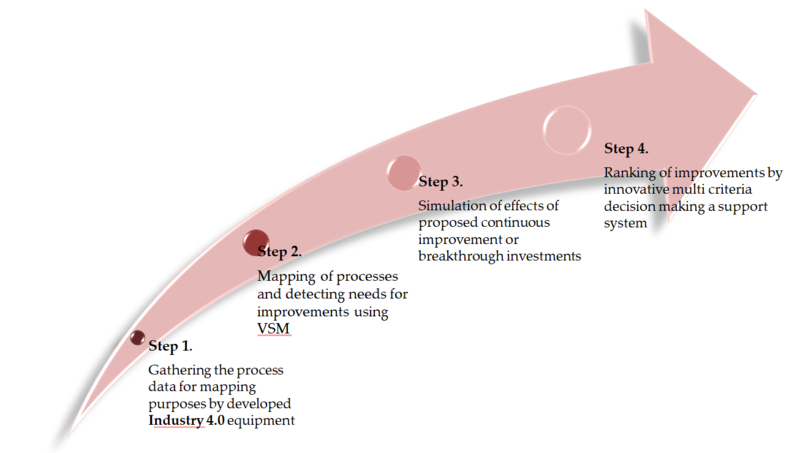 In the second step, mapping of processes and detecting needs for the improvement will take place. In the third step, the implementation of Lean management tools and breakthrough investments will be simulated in order to evaluate the impact of organizational and technology changes. The fourth step will utilize an innovative multi-criteria decision making a support system for prioritization of proposed improvement processes. The proposed procedure will increase awareness that continuous improvement management is crucial. This will enable that decision-making process supports deploy plans for improvement. Available human, material and financial resources will be taken into consideration for optimal achievable process performance for current situation and possibilities. Results of proposed procedures will be implemented in four case studies among project partners. Few scientific publications in peer-reviewed journals are planned. The results will be presented at international conferences and workshops. In addition, project actions will contribute to the transfer of knowledge and skills from scientific organization to Croatian companies, and to expected future common application on EU or other international funds.